with a sale of children’s bikes only taking place on Friday 12 July from 3.30 – 5.00 pm. PARKING while you deliver your bike: Use Kitson Road (to the west of the church) and roads leading north from there. There are NO parking restrictions in these roads at any of the above delivery times. Beware restrictions on Church Road and other roads. See the FAQ section below for details. We will sell your bike for a share of the proceeds (50% for bikes which sell for £50 or over) or bikes can be donated to charity 100%. We ask all donors to Gift Aid if possible. If you wish, complete one of our forms for each bike to save time when you come. If you are not able to bring your bike to St Mary’s, we can offer a free pick up of your bike(s) from your house through Tiptapp, an app that helps move things in and out of your home. In order to benefit from this special offer, please send an email with the subject “bike” to [email protected] You will be contacted a few days before the collection date. Or open this link on your phone to download Tiptapp. Enter the campaign code ” bike ” to receive £10 credit to cover the cost of delivery. Don’t forget to attach your completed Contract for Sale of Bicycle to the bike(s) so we have a record of the bike sellers or donors, and can pay you any monies you are owed. If you would like to be put on our bike sale mailing list for a reminder nearer the time please contact [email protected]. I can’t bring my bike on those dates. Can I bring it any other time? It may be possible by prior arrangement if it is a good quality bike. Please send a couple of photos of your bike to [email protected] with a telephone number and we’ll get back to you. It would need to be brought to Barnes. Can you collect my bike? 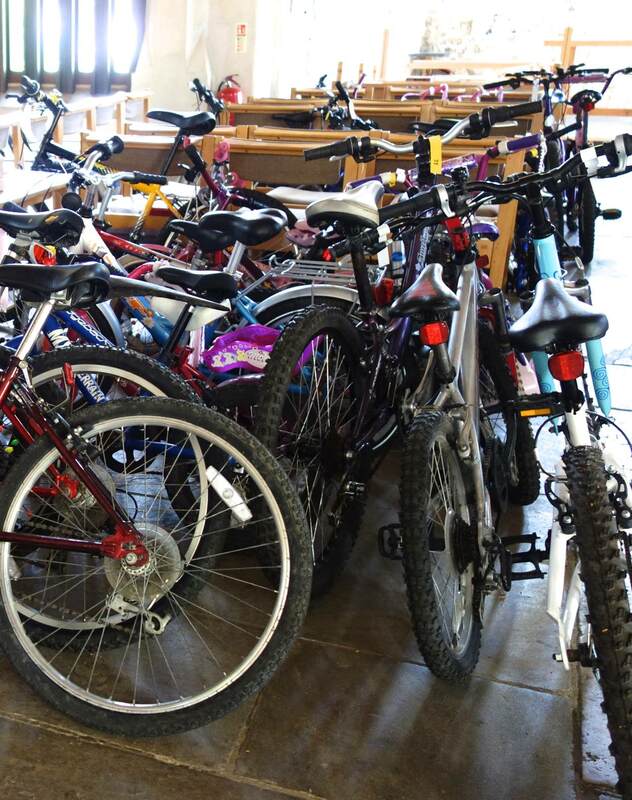 If you are not able to bring your bike to St Mary’s we can offer a free local pick up of your bike(s) from your house through Tiptapp, an organisation that helps move things in and out of your home. In order to benefit from their offer please send an email with the text “bike” to [email protected] and you will be contacted a few days before the collection date. Or open this link on your phone to download the Tiptappapp. Enter the campaign code ” bike ” to receive £10 credit to cover the cost of delivery. 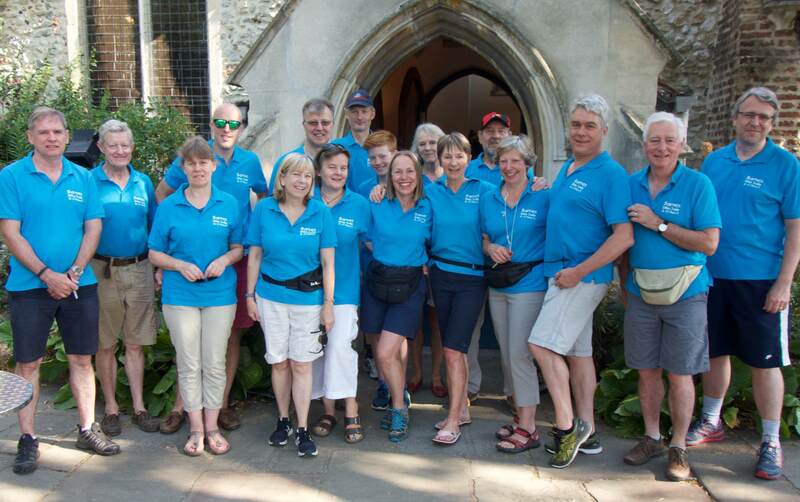 Don’t forget to attach your completed Contract for Sale of Bicycle to the bike(s) in order for St Mary’s to have a record of the bike sellers or donors, and to pay you any monies you are owed. I’ve got children’s bikes – are these any good to you? In all honesty some of the very tiniest bikes can be difficult to sell. If they are not in good condition or able to be ridden, please find an alternative home for them. My bike is rusty and has been kept outside. Do you want it? If your bike would be happier at the tip please take it straight there. We reserve the right to decline bikes, so please don’t be offended if we do so, even if you have brought them to the churchyard. We can only accept bikes that can be made rideable with limited maintenance, i.e. oiling and checking brakes or pumping up tyres. Old rusty bikes which have lived outside for years just take too much work and time to resurrect. What happens when I bring my bike in? You will be asked to fill out a form giving your contact details. We ask if you are prepared to donate 100% of the final sale price or 50% (offered if sale price of £50 and over is achieved). If sharing the proceeds we need your bank sort code, a/c number and a/c name. You can decide if you want your bike back if unsold. If you are a UK tax payer we ask you to Gift Aid the donated portion of the sale price. How much do bikes sell for? The majority of adult bikes sell for between £60 and £120. Children’s bikes rarely sell for more than £50 and many of the smallest will only fetch £10 or £15. We can only offer a share of the proceeds on bikes priced at more than £50 since the preparation and paperwork involved for each bike takes quite a lot of time. The purpose of the sale is to raise money for charity, as well as recycling bikes. We are always especially grateful for donated bikes. What time does the sale open? If you want your pick of the best bikes, please be prepared to queue before 9am outside the churchyard. We open the gates at 9 am but the queue can start forming from 8am. We usually sell about half of the adult bikes in the first hour of the sale. Can I have a look at the bikes before the sale? Sorry, this is just not possible. We will post some pictures of bikes as they come in on our twitter account @barnesbikesale and facebook.com/barnescharitybikesale so keep an eye on social media for updates. Most people pay by cash but we can also accept payment by credit card or PayPal. What time does the sale end? We intend to finish the sale at 2pm or whenever all the bikes are sold – whichever happens sooner. The best bikes will be sold before 11 am. How will I know if my bike has been sold? A few days after the sale donors are contacted by email and told whether their bike has sold and, if so, how much for. If you have gift aided your donation, this amount will also be confirmed. Bank transfers of any shares are made towards the end of the same week. What happens to leftover bikes? We generally have a very few left over and try to find a suitable charity to donate them to. We’re currently exploring these options. Can I specify which charity the money goes to? Money from the sale goes to St Mary’s Church, Castlenau Community Centre, Glassdoor, Under tree schools, Age UK Barnes Green Centre and other charities supported by the church. See more information on each of these charities. Email [email protected] if you can offer some time. It’s good fun and we have planning meetings in the pub!